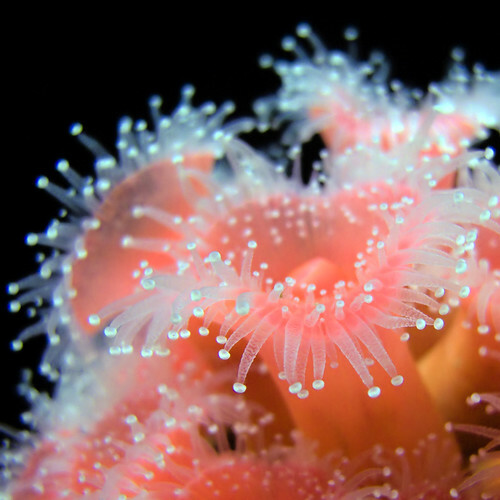 Today’s guest post is provided by Nevin Thompson of Victoria, BC. Nevin frequently contributes blog posts about Vancouver Island to Island businesses such as Victoria’s Diversified Health Clinic. If you have an idea for a guest post that you think might be relevant to my readers, please send me a direct e-mail. When most of us go south over the Malahat, we tend to think we’re in Victoria, and in fact whether they’re from Oak Bay or View Royal, most people in the capital region at the south end of the Island would say they’re from Victoria. However, hang a left once you get past the Malahat, and head up Highway 16 along the Saanich Peninsula, and you’ll enter an entirely distinct region that is different from Victoria in many ways. The Saanich Peninsula is a long finger of land, almost an island in and of itself, jutting north into the Gulf Islands. 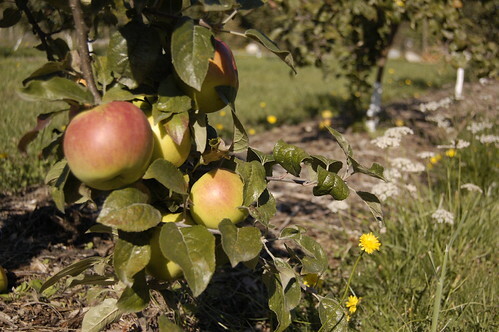 The culture is primarily rural with plenty of farms, horse stables, and even wineries and a working cider house. 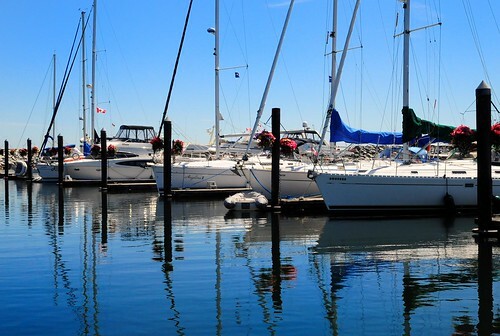 Sidney itself has a distinctly maritime character, thanks to the BC Ferries terminal nearby, and a shoreline crammed with moorages and boatyards. 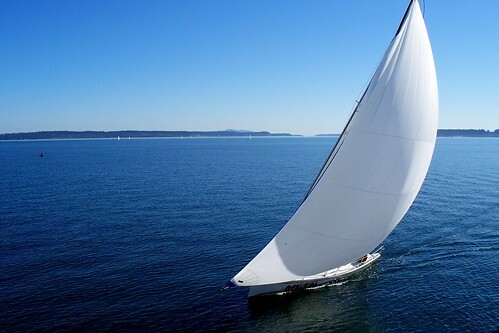 Sidney is home to one of the largest boat-building and refurbishing industries in BC. While there isn’t as much salmon as there used to be, plenty of people still make their living from fishing here. Sidney also serves as a service hub for the isolated communities of the Gulf Islands, and is a popular moorage for yachts traveling along the Inside Passage. The result is that there is a distinctly different culture in Sidney and on the Saanich Peninsula than just a few kilometres south in the big city of Victoria. 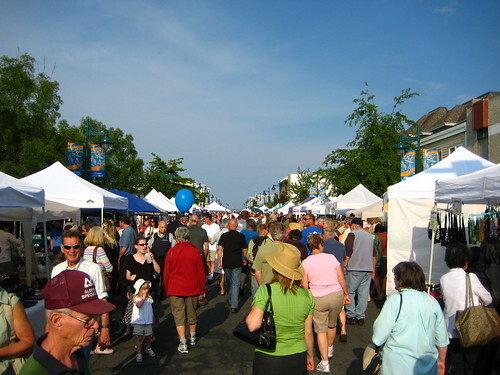 Besides being a focal point for the marine industry, Sidney is also a tourist town, and Beacon Avenue is often crowded and vibrant. However, unlike a lot of tourist towns, Sidney’s downtown is meant for locals as well as for visitors, resulting in a more authentic experience. If more than a dozen bookstores in Canada’s only booktown aren’t enough, there are also plenty of places to browse through quality antiques. Sidney’s Beacon Avenue has what must be one of the highest concentrations of coffee shops in Canada. I also counted five Greek restaurants during a recent visit. However, the best part about Sidney is Glass Beach at the foot of Beacon Avenue. 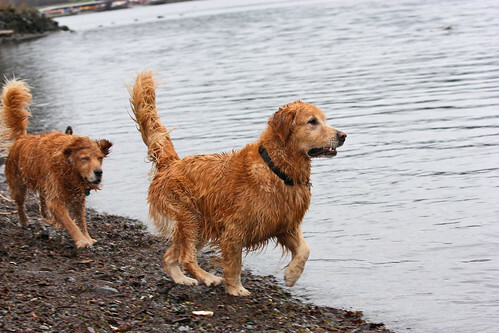 This provides a great place for kids and pets alike to burn off a little steam. Glass Beach gets its name from polished bits of glass in the sand that are a remnant of the Sidney’s waterfront’s industrial past. You’ll find Glass Beach just one stop on the Sidney Seaside Walkway, which stretches for a couple of kilometres along Sidney’s waterfront. 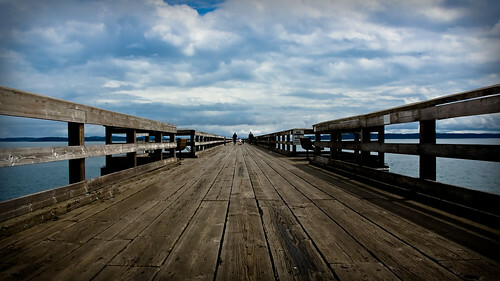 The walkway includes stops at the Bevan Fishing Pier and Tulista Park to the south, as well as the Shaw Ocean Discovery Centre to the north. 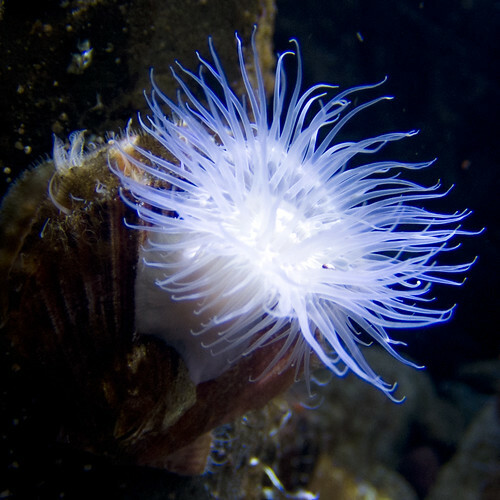 The Shaw Ocean Discovery Centre, adjacent to Sidney Pier and Glass Beach, is one of the best aquariums in Canada, and provides a hands-on explanation of the “Salish Sea” stretching from the Strait of Juan de Fuca to the west and the Strait of Georgia to the north, with the Gulf and San Juan Islands in between. Next door is Mineral World, while just up Beacon Avenue lies the Sidney Museum. The museum houses an excellent collection of artifacts and dioramas explaining the Saanich Peninsula’s past. Add in an independent toy store and Sidney becomes an ideal place spend the day with your family. 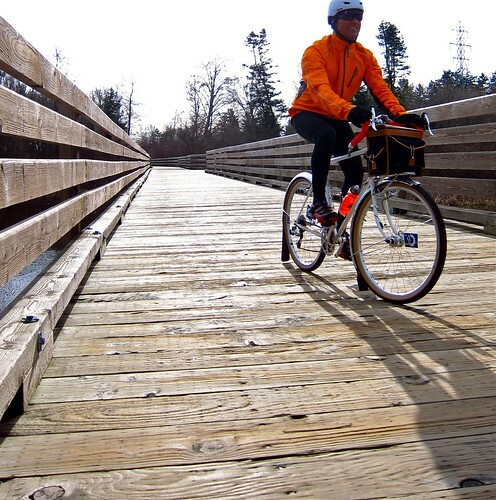 The Greater Victoria area is famous throughout Canada for its great network of bike trails and bike lanes. One of them, Lochside Trail, travels nearly 30 kilometrws between the Swartz Bay ferry terminal and downtown Victoria. Sidney is a great place to stop. It’s the home of Russ Hay Cycles, a superbly stocked bike shop, and numerous coffee shops that provide fuel for the trip into Victoria or the final lap out to the ferries. Lochside Trail alternates between dedicated bike paths and bike lanes on the roadway, but it’s a quiet, flat route with plenty of visibility. The Trail provides spectacular views of Mount Baker and the Gulf and San Juan Islands just off shore. It eventually connects with the Greater Victoria bike trail system. 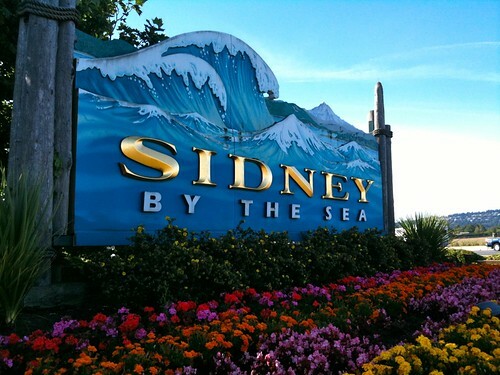 To learn more about Sidney by the Sea or to plan your visit, please stop by the Town of Sidney’s online. 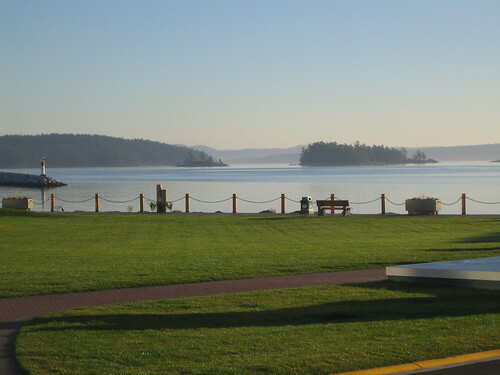 Sidney is located just a 20-minute drive north of Victoria. Until August 1st, you have a chance to win one of four pairs of one-day passes to the Filberg Festival running August 3rd through 6th. Click here to find out how to enter.